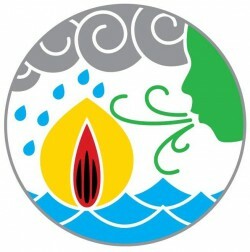 The Programme on Integrated Climate Change Adaptation Strategies (ICCAS) is being co-implemented by the United Nations Development Programme (UNDP) and the German Development Cooperation (GIZ) through the Environment Division of the Ministry of Education, Human Resource Development and the Environment (MOEHRE) in Grenada. Funding for this project is provided by the German Federal Ministry of the Environment, Nature Conservation, Building and Nuclear Safety (BMUB), International Climate Initiative (IKI). The consultant is required to produce a feasibility study that serves as a knowledge base for a concept regarding the institutionalization of the Community Climate Change Adaptation Fund (CCCAF) in the longer term. The level of effort will require a total of 45 consultant days, which is negotiable. The overall goal of the consultancy is to explore the feasibility of the institutionalization of the CCCAF in Grenada, and to recommend a follow-up strategy for implementation, including recommendations regarding design options (e.g . possible management agencies, financial structure, entities that could receive proceeds, conservation strategies for programming of fund proceeds, monitoring and quality assurance mechanisms, etc.). For further information on key and specific deliverables, please visit: http://www.gov.gd/egov/pdf/vacancies/tor-feasibility-cccf-mechanism-grenada.pdf or www.bb.undp.org or request full TOR by emailing applytoiccas@undp.org. All applications should be submitted no later than June 23, 2017. Only suitable applicants will be contacted.